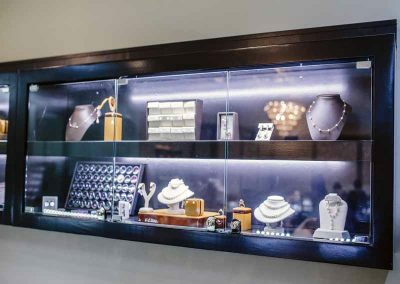 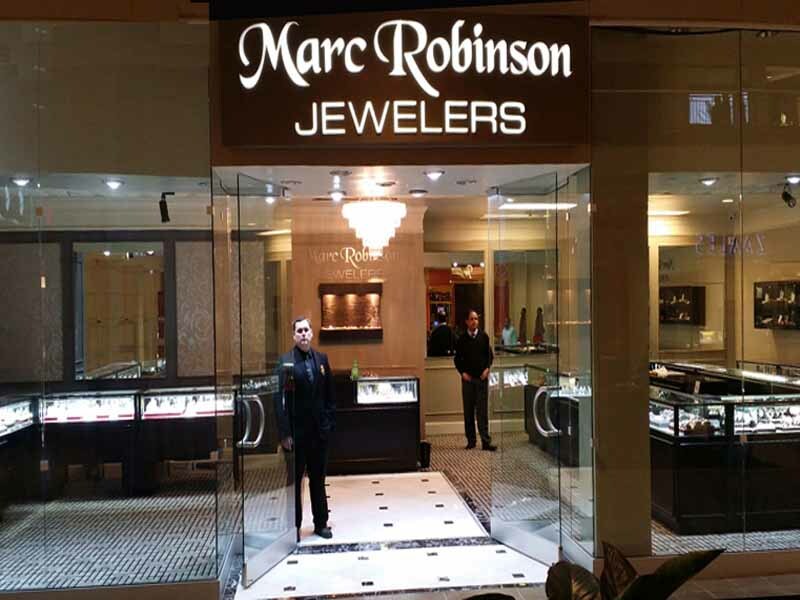 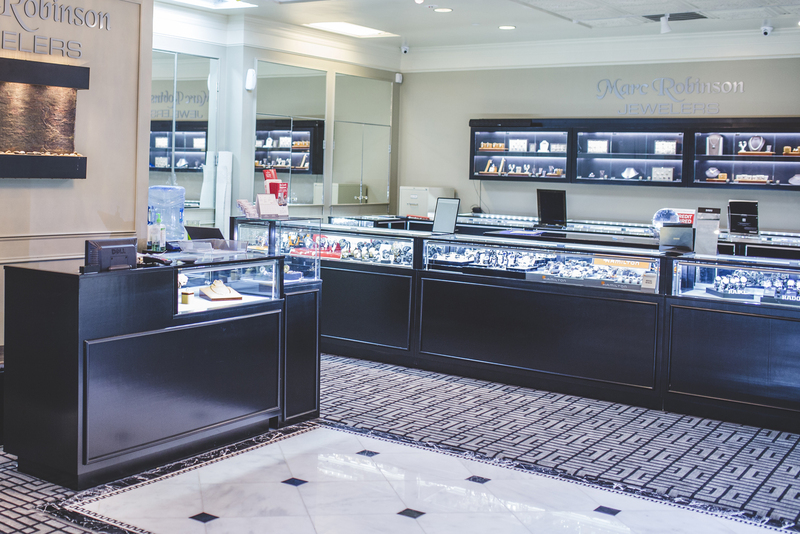 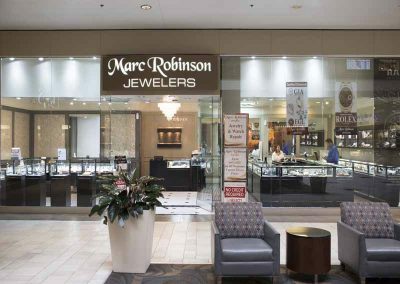 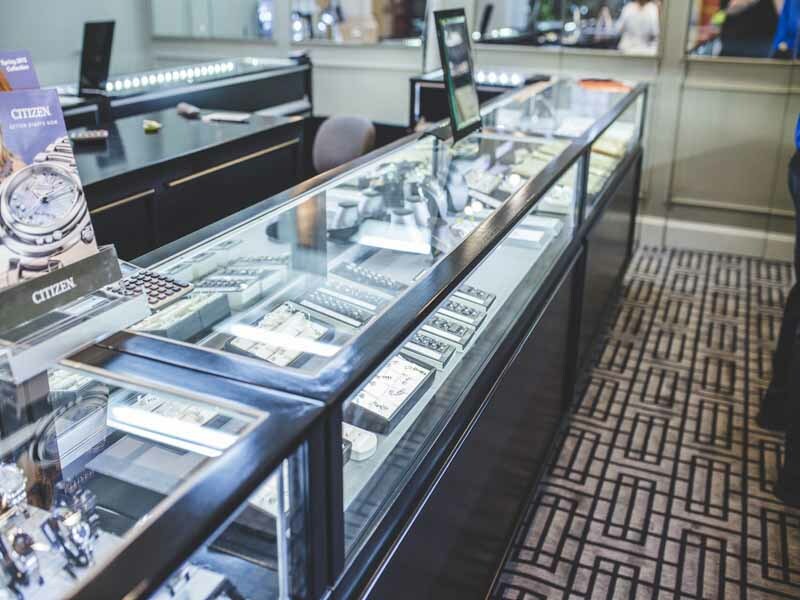 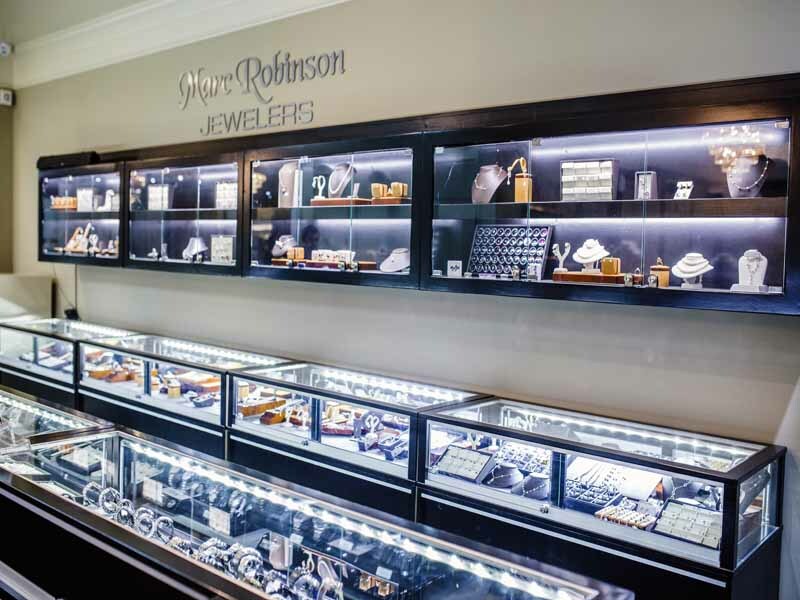 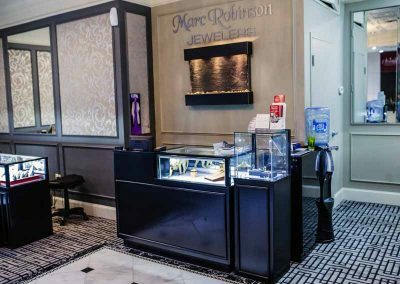 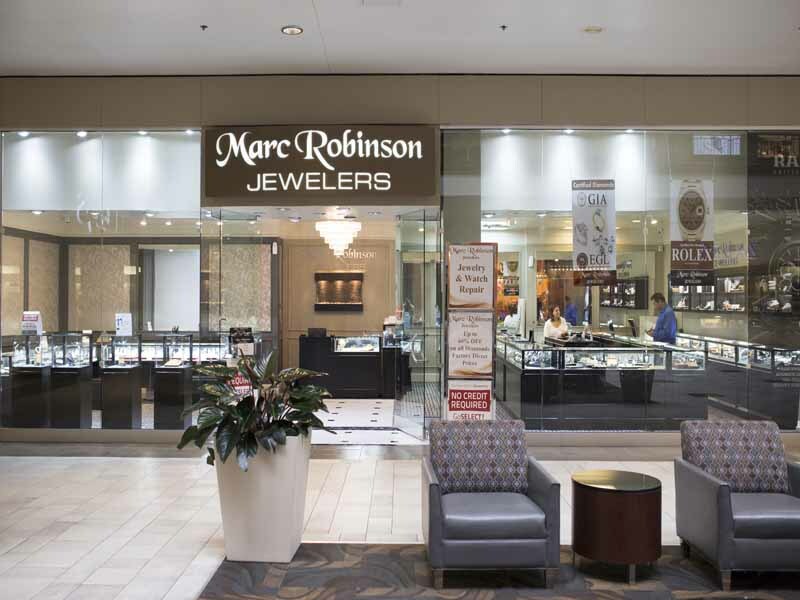 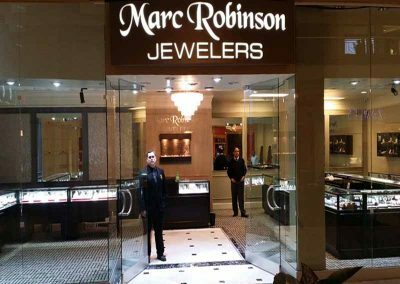 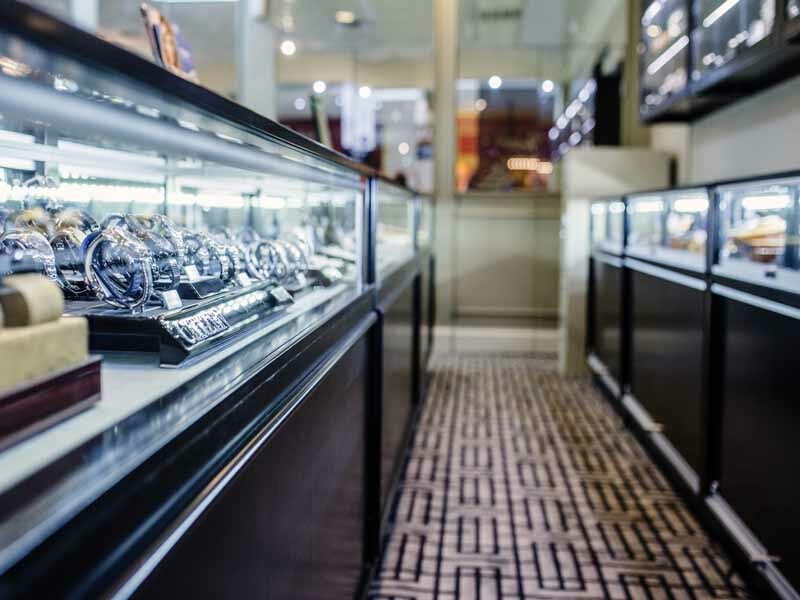 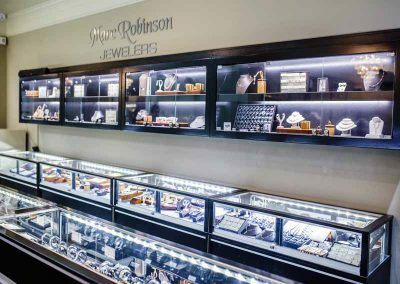 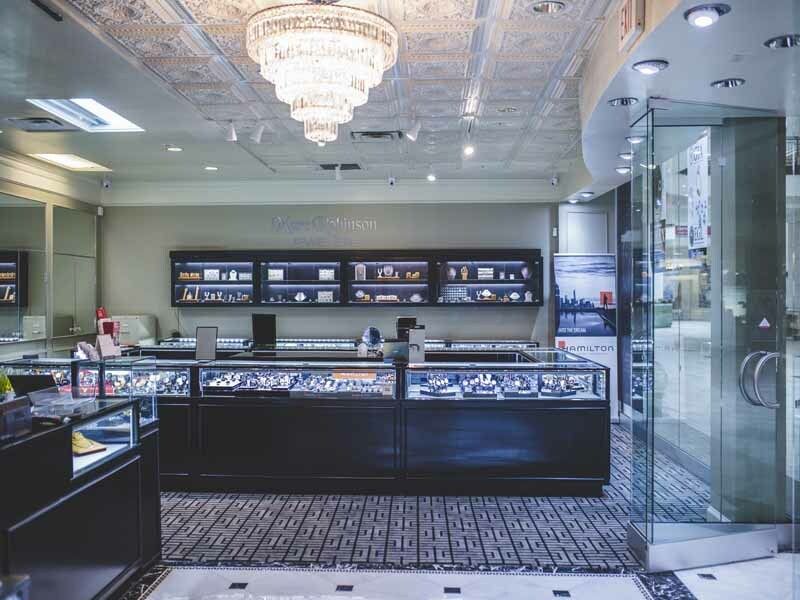 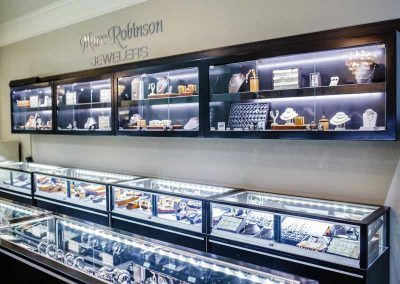 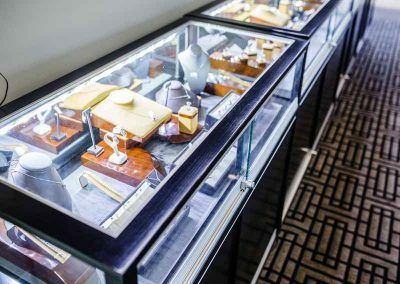 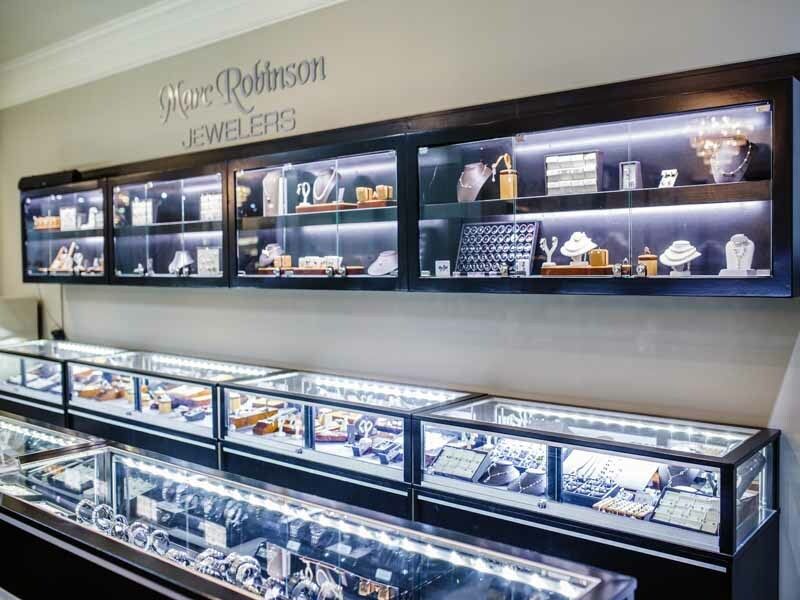 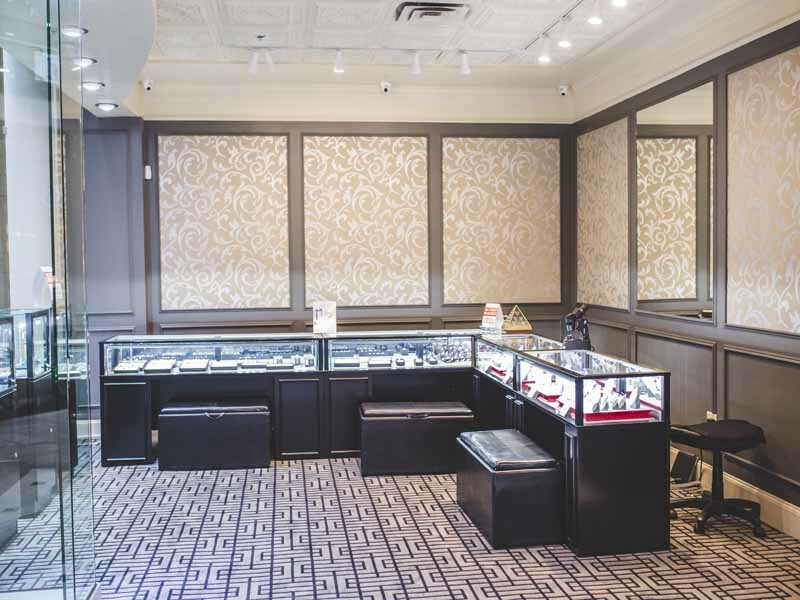 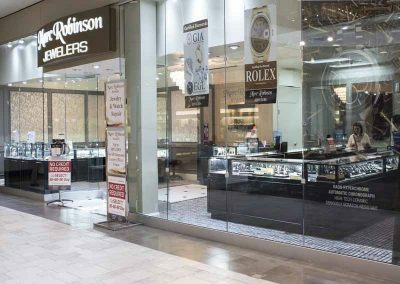 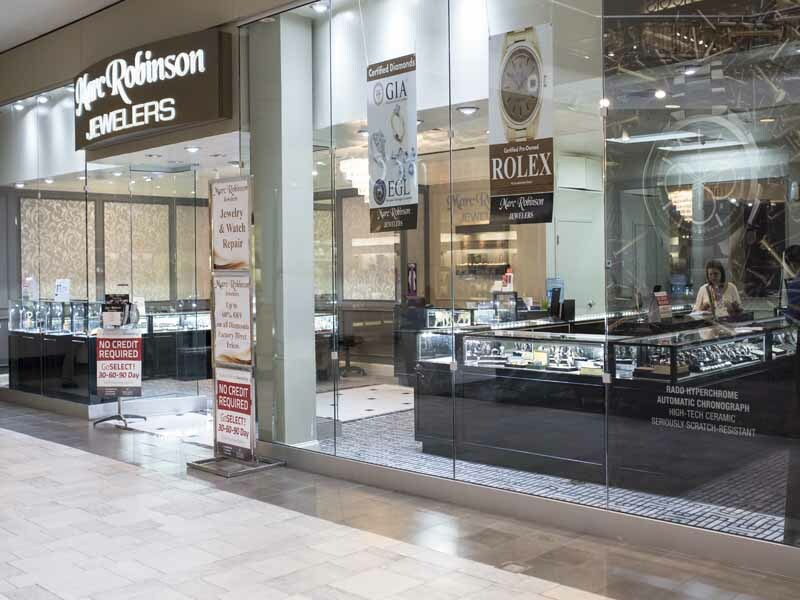 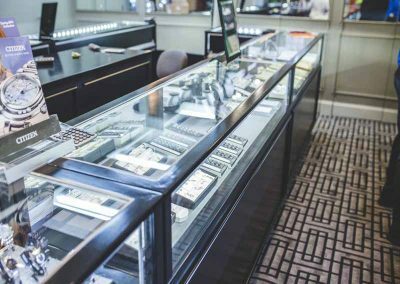 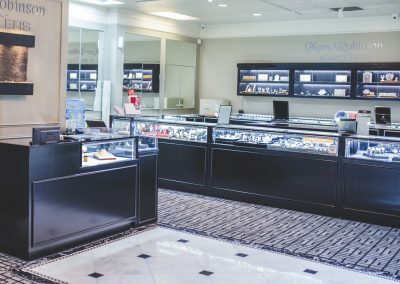 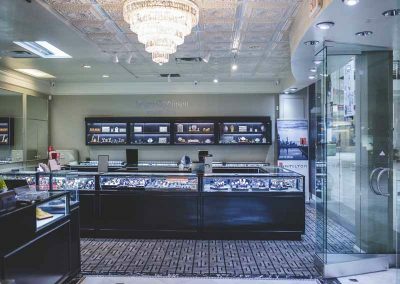 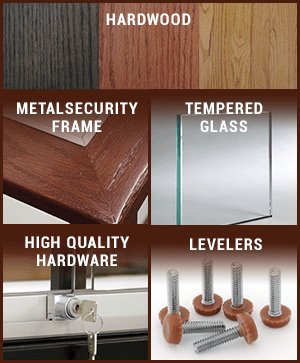 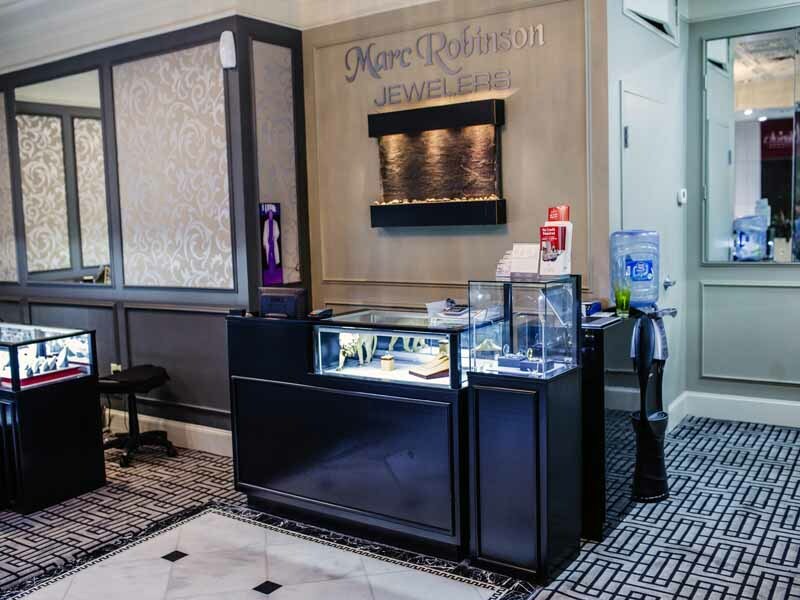 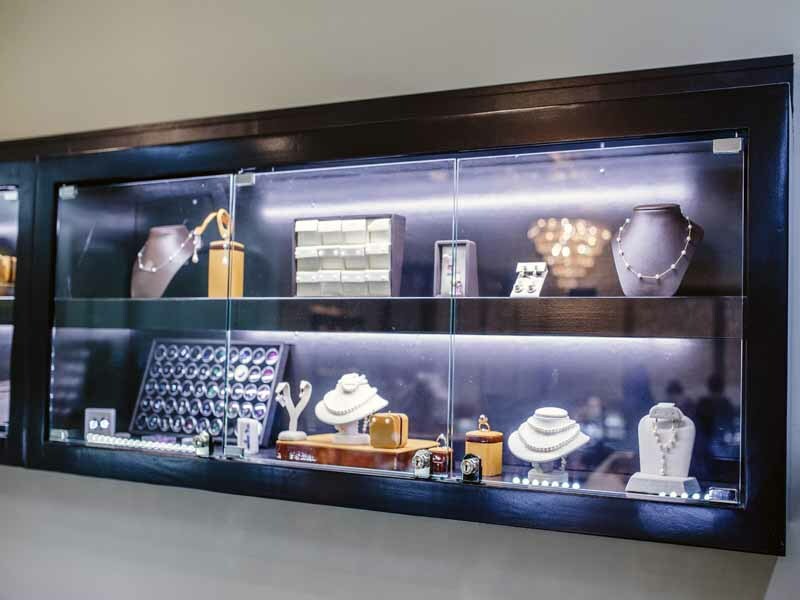 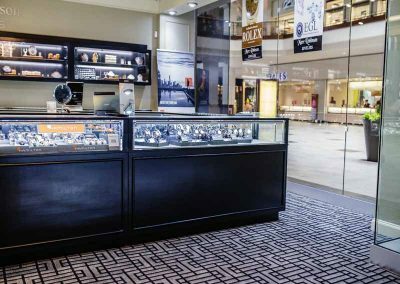 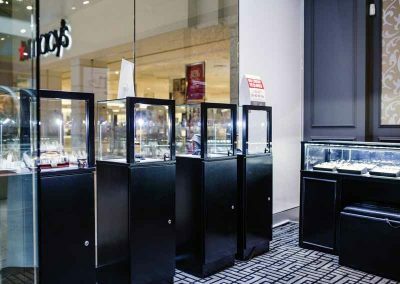 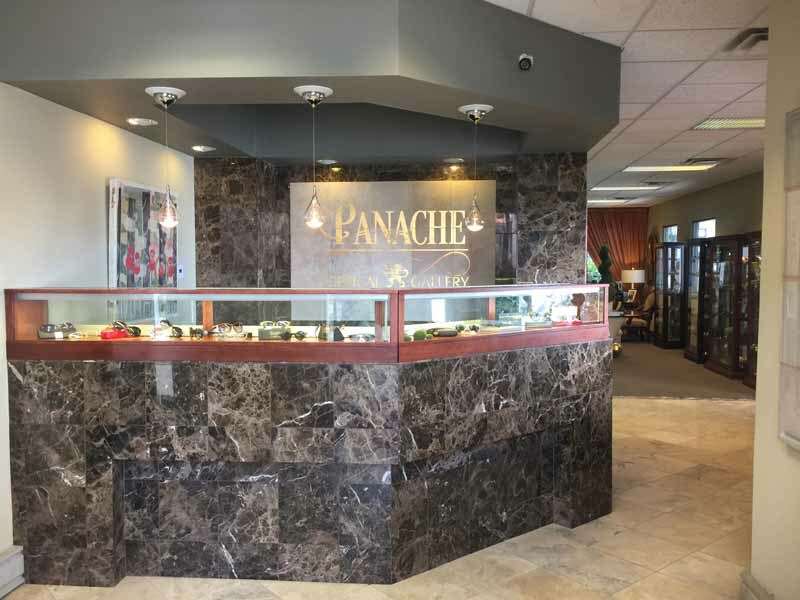 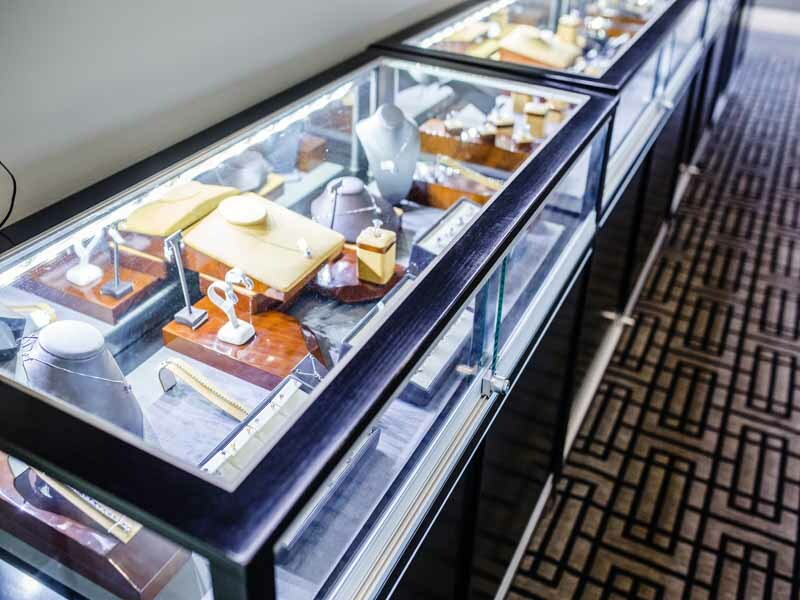 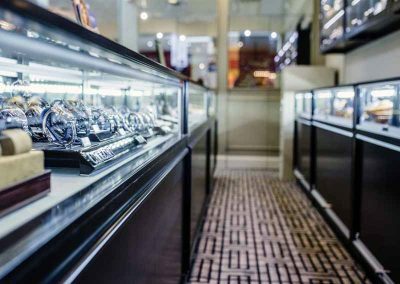 Marc Robinson Jewelers has a chain of Jewelry Stores. 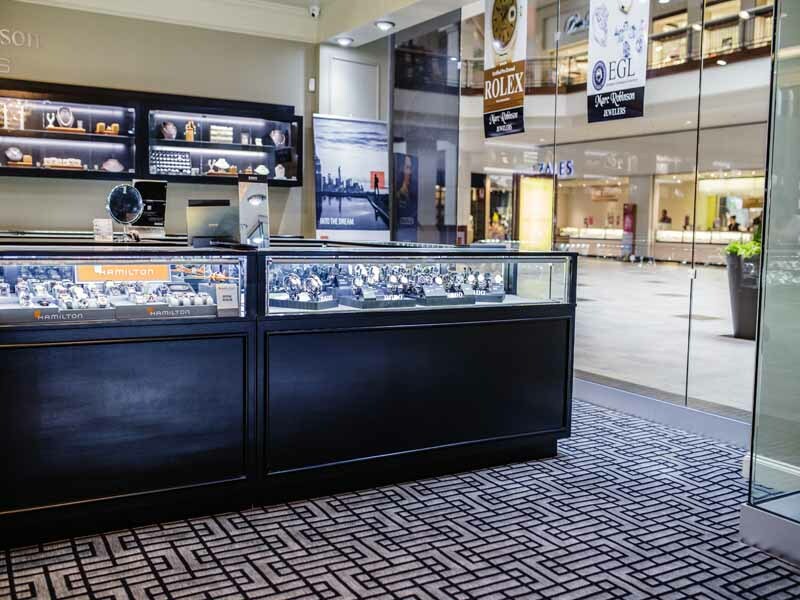 They took over a large store area in a mall in Austin, Tx and asked us to design the fixtures. 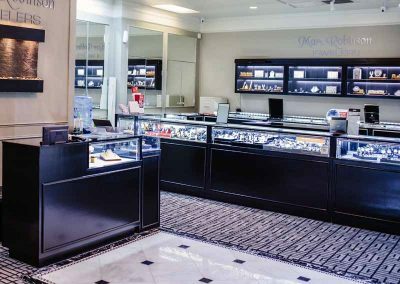 The floor plan had a large walk around rectangle island with several cases along with wall cases and a row of sit down jewelry cases. 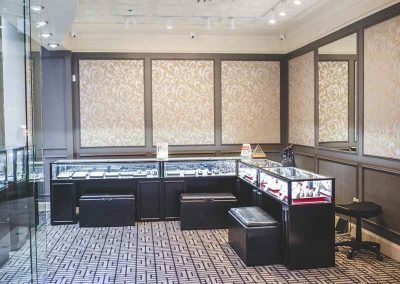 Above the Jewelry Vision cases around the perimeter of the store were wall hung display cases. 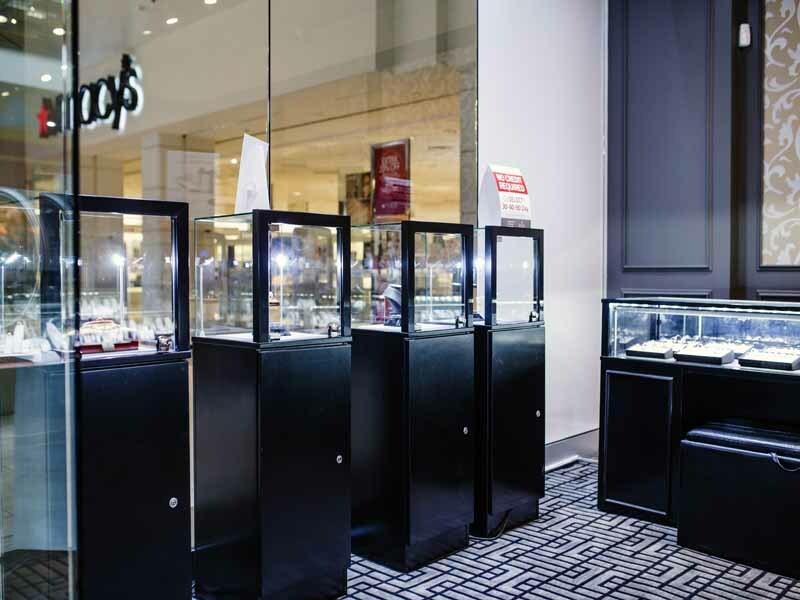 To the left and right of the front doors, several square pedestal cases drew the attention of shoppers. 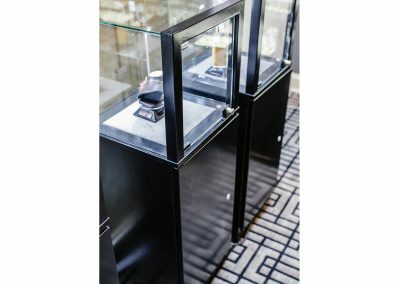 The finish was a satin black lacquer with a gray fabric deck pads. 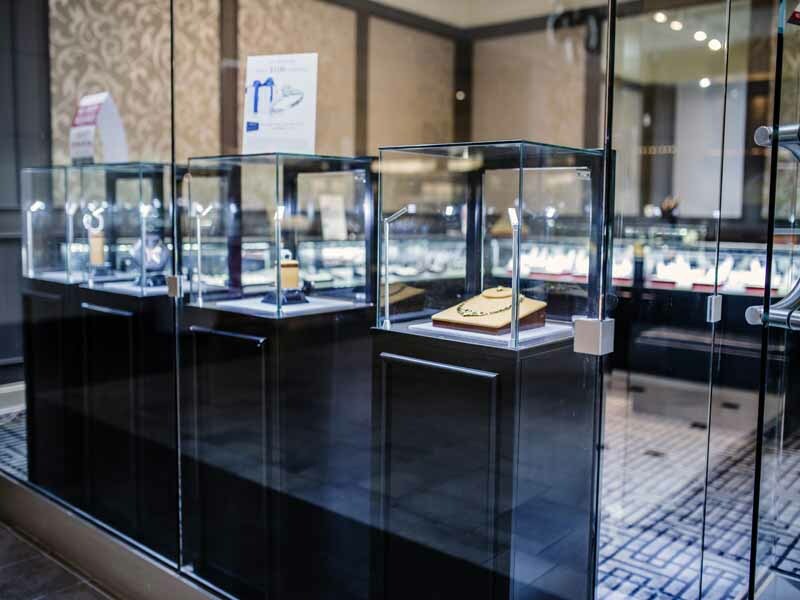 The display cases were brightly lighted with 5500 Kelvin LED lights. 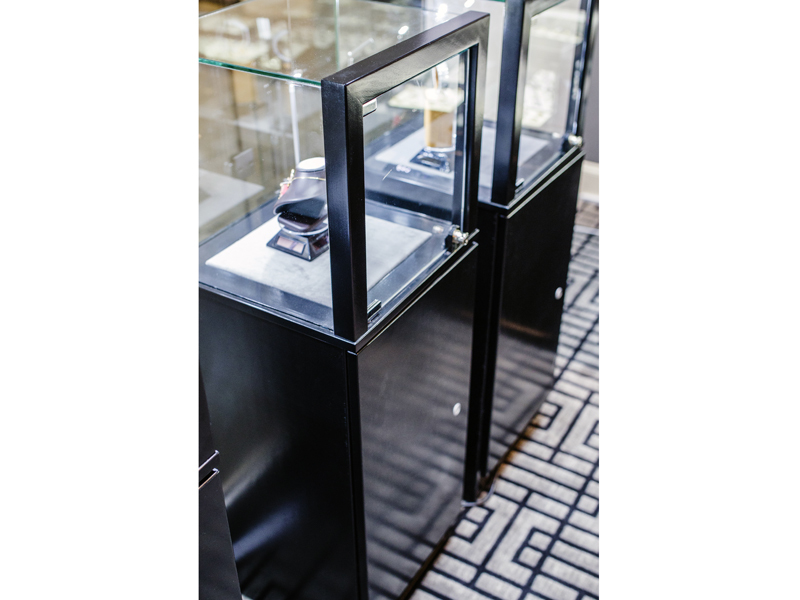 The checkout area has a Combo Cashwrap which is a register stand with a built-in display area for more product display at checkout.